Poland was betrayed by her Allies, and then ruled by Russian communism for three generations. Polish history was prohibited. After six years of brutal dual occupation by Hitler and Stalin, Poland was dominated and governed under the rule of Russian communism for three generations. Subsequently, for three generations it was forbidden to honor Polish heroes or teach Polish history in Poland. I actually met two Polish-Americans at a party who were stunned I knew more of their country’s history than they did. Think about it. I have found that World War II history is usually viewed and memorialized primarily through the eyes and context of your own country or culture’s experience. 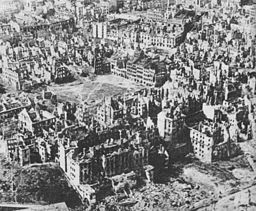 No Allied troops, especially the US and Britain, fought and died in the Warsaw Uprising. Americans remember and study Pearl Harbor, D-Day, the Bataan Death March, the Battle for Iwo Jima, and so many other battles. The British remember and study the Miracle of Dunkirk in 1940, the German U-boats in the North Sea, the Battle of Britain, the bombing of London, and the Battle for the Maginot Line. Ask a Russian and I suspect they will remember the Battle for Stalingrad, and the Battles for Kursk and Moscow the most. Why would the US, Britain or Russia focus on the Warsaw Uprising, mass murder in the Katyn Forest, or deportation of nearly a million civilian Poles to Russia’s Siberia where half died? If you know of an American World War II movie or drama told from the viewpoint of Poland, please let me know. The only one I know of is The Zookeeper’s Wife. The Warsaw Uprising is not considered part of Holocaust education or of the Jewish experience. I will definitely stand for Holocaust education in an era of more and more Holocaust deniers. The evidence is irrefutable and there are thousands of first-hand witness accounts. Every Jew was a target and victim. My book stands as an additional first-person witness. There are strong movements to make Holocaust education mandatory in schools. But…..the Holocaust is strictly defined and taught as the targeted actions against, and murder of six million European Jews. And… the history of the Holocaust has been taught for three generations. As a statement of historical fact, Holocaust education teaches a subset of World War II, and only half of Poland’s brutal wartime experience, especially Poles brutalized under Stalin. As I quoted in the front of my book: The past actually happened, but history is only what someone wrote down. 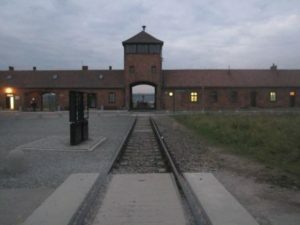 A law passed in January by the Polish government regarding Holocaust memory is its own separate and controversial discussion. But it has highlighted a huge disparity in how two different cultures interpret the same historical facts and assess blame. The political fallout and damage of a Polish law limiting speech versus a massive education and public relations campaign may last a long time. Please remember this: there were only German concentration camps or death camps, even if located geographically in modern-day Poland. At every talk I have given, and I do mean every, at least one person of Polish descent (or Hungarian or other nearby country) has walked up and thanked me for writing HENRY. Why? Because they had family members who were sent to Siberia, or imprisoned in Sachsenhausen, or executed by a German firing squad. There is what I call a legitimate “What About Us?” argument that their side of the war is not widely recognized, or is roundly dismissed by others who claim to have suffered worse. On the other spectrum, after one talk a woman told me I didn’t understand that “honoring the smaller number of Polish victims of Auschwitz besmirches the memory of one million Jewish victims.” I have received a few similar comments on Facebook. Really? How? Is there no room for mutual recognition or sympathy? Here’s the thing. War is a bipolar example of good and evil, and every shade of gray in between. Today, even the current political climate in the US has become characterized by discord and extreme opposites. Don’t judge me based on my government. Condemn and punish the perpetrators regardless of nationality, faith or culture. Remember the bravery of heroes and victims regardless of nationality, faith or culture. 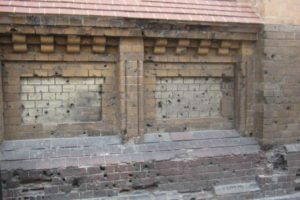 The large number of Poles who died in the Warsaw Uprising, are but a subset of the six million Poles who lost their lives in World War II, half Jewish, and half not. When you honor the first, you honor the rest. Learn more at the Warsaw Uprising Museum. The views expressed in this column are solely those of the author. Every year at 5:00 pm on August 1, citizens of Warsaw stand still and silent in solemn remembrance of the Warsaw Uprising. 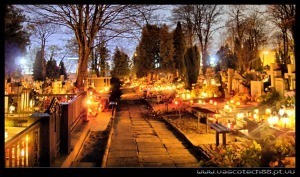 This entry was posted in Commentary, Poland, Polish History, World War II - Europe by Katrina Shawver. Bookmark the permalink. Thank you, Katrina, for being willing to educate. The best book I read about the Warsaw Ghetto Uprising was John Hersey’s THE WALL. I will never forget it and I read it decades ago. We must not let deniers get a foothold. But what will happen when they are all gone?! Let me tell you a few words about learning history in Polish schools during the communist era. I have been educated in the public schools in Poland (1957-1968 plus one Polytechnic, two Schools of Economics, and a University – graduated from the latter), which provided educational resources for more than 95 percent of students on all levels, from primary to master’s and doctoral programs. All primary and secondary educational programs were common and identical for every school in Poland, centrally designed by the Ministry of Education – no exceptions allowed. Different teachers, various locations in the country of 35 million, but the same books, the same requirements, the same grading system, and common graduation based on final exit exam, given at the same time on the same day in every school in the country. History as a separate subject would start in the 4th grade and continue until the end of high school. Let me assure you that anybody educated in communist Poland learned in depth about 1000 years of Polish history, about Polish victories, defeats, struggles, and accomplishments in battle, in science, literature, art, music, philosophy, politics, and relations with other cultures, nations and powers of the world. Nothing was forbidden. However, as history teaches us, rulers always lay out their preferences for teaching history. That is called historical policy. During the communist era in Poland certain aspects of Polish modern history were warped or told with focus on Marxist ideology. Nevertheless, most of those who are considered heroes today, were mentioned or even extensively talked about as the examples of the opposing forces, and quite often condemned for their actions. Today historical policy is quite often reversed in Poland and “heroes” of the previous era are judged negatively, while some other ones get resurrected from oblivion or shame. One more time: nothing was formally forbidden. 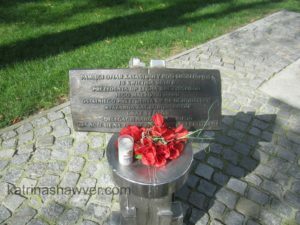 Polish heroes of the Warsaw Uprising 44 were honored as far back as my memory serves me. I remember vividly when as a boy in late fifties and every year afterward, I and all people around me would stop on the streets for a minute at 5:00 PM on August 1st to honor those who tried to change the course of history, to prevent the betrayal of our Allies to become a stigma on their souls. 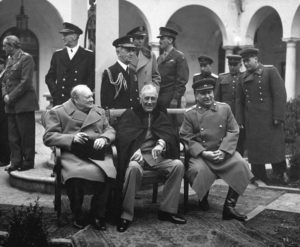 Believe me, we talked in our history classes about the Tehran Conference, Katyń Massacre, the Ribbentrop-Molotov Agreement, about killing gen. Sikorski at Gibraltar, about Karski’s mission and his report being disregarded by President Roosevelt, and anything that comes to your mind. Did you know that communist regime celebrated 1000 anniversary of Christianity in Poland with the program of building 1000 new schools? Yes, there were repressions, beatings, distortions of facts, propaganda of building successful socialist society despite the ugly capitalist leeches meddling with our affairs. But, but the teaching went on, and Polish history was taught by Polish teachers in Polish schools from Polish books. Thanks Chris, for continuing to educate me. Your points are all well taken.